My name is ______________ and I am a local __________________ here in ________________. I want you to know that I support some of the nonprofits in our community by donating a part of my commission to them. I am very interested in supporting _____________ in accomplishing your mission. Let me explain how we can do this. If you are interested in my support and my desire to donate to your organization all you need do is respond to me telling me so and we can discuss how to proceed. All that will be involved on your part is to inform your database of supporters and donors about the REBSEA Program and introduce me as our local member. This is about developing a long term sustainable source of new donations for you and new business for me. It is a very simple idea whose time has come. 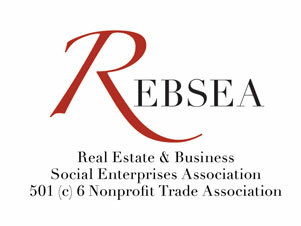 REBSEA was founded by 125 Realtors across the U.S. and Canada who have been doing precisely this for many years and have now created this program so that we can implement this win-win relationship in every city, town, and province. Our goal is to fundamentally change the relationship between the business community and the nonprofit sector by harnessing the power of business to address and solve our social and environmental problems. I hope that you agree that this is an idea whose time has come. I look forward to hearing from you.